22+ Years of Experience in Co-Op. Soc. Agent Collection System in All Modules Like R.D, F.D.,D.D., Loan etc. Agent Collection through Data Bank Machine and auto Posting. Reports for Agent Collection / commission / Performance / Analysis and many more. Reports - for Sending Before / After collection, Short Recovery etc. No need to buy Machine: No need to purchase a agent collection m/c by society. Agent has to make entry in his mobile device in vayak android app. this is very fast like we surch names of person while phone call. New account opening: New account opening in any scheme like M.R., Daily, Fix Deposit is possible in mobile with photo, signature and person detail. 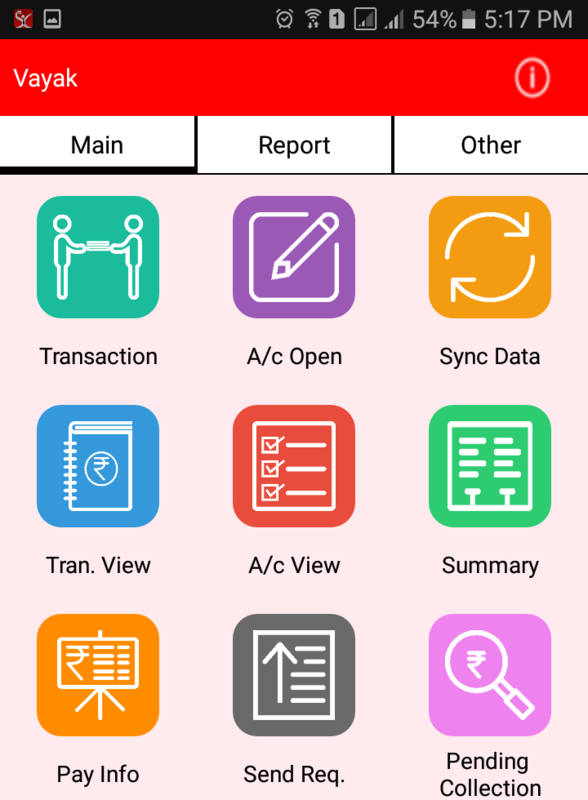 No need of any data entry: From Agent mobile all collection & new account opened data will be transfer to server. Society will get all data from internet, and auto posting to all persons accounts is done without any data entry. So 4 to 5 hours work is done in 4 to 5 minutes. Account holder will get Receipt / SMS: Customers will get receipt by small blue-tooth printer or SMS for their transaction. 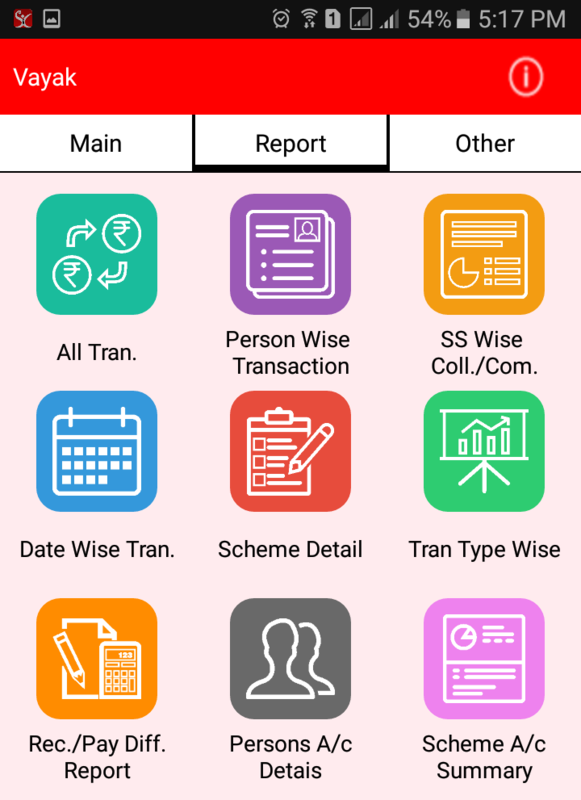 So many Reports in agent's mobile: Agent can view collection report - Date wise, scheme wise, person wise & Detail. He can view his pending collections, summary of his accounts. So many other facility: Agent can handle depositors inquiry via his mobile. like maturity date, Dues, Current balance. He can also enter request for Account close, Account open, New loan request etc. Having Service Staff in field: Like repairing of R.O., Air condition, Washing Machine, Lift ext. Having Staff at Site: Construction Site, Road work, JCB Work, Govt. contract Work ext. Other Staff: How visit in the field for payment collection, Purchase, Demo, Installations. 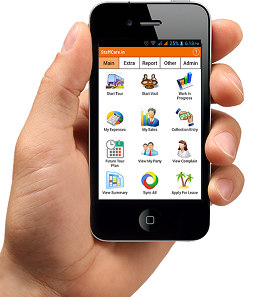 For Manager/Owners: Mobile Apps is also required for monitoring purpose by Managers and Owners.